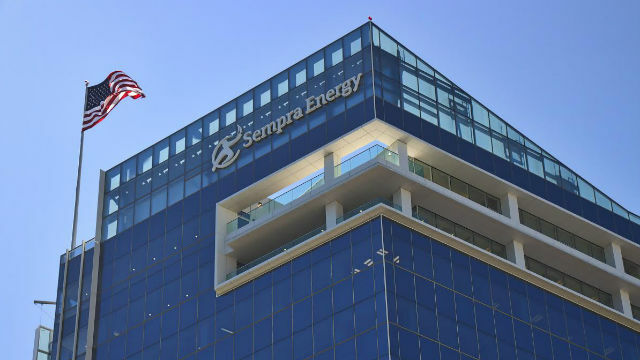 San Diego-based Sempra Energy reported lower first-quarter earnings on Monday as financing costs rose in connection with its acquisition of Texas’ largest utility. The San Diego-based utility holding company, which owns San Diego Gas & Electric, earned $347 million, or $1.33 per share, compared with $441 million, or $1.75 per share, in the same quarter last year. Revenue declined to $2.96 billion from $3.03 billion a year ago. In March Sempra completed its $9.45 billion acquisition of an approximate 80-percent indirect ownership interest in Oncor. The company said it expects up to $360 million for its portion of partial-year earnings from Oncor in 2018. Sempra said its profits were also hit by a $25 million income-tax expense as a result of federal tax reform. The company’s stock closed at $110.68 Monday on the New York Stock Exchange, down more than $1. With the acquisition of Oncor, Sempra has the largest number of U.S. customers of any utility holding company.